If you were looking for some beautiful gifts for someone who’s a feminist, but also a book lover, you’ve come to the right place! I put together a gift guide featuring 12 awesome products from independent makers and designers. And just in time for Christmas! I hope you’ll find something you like :). 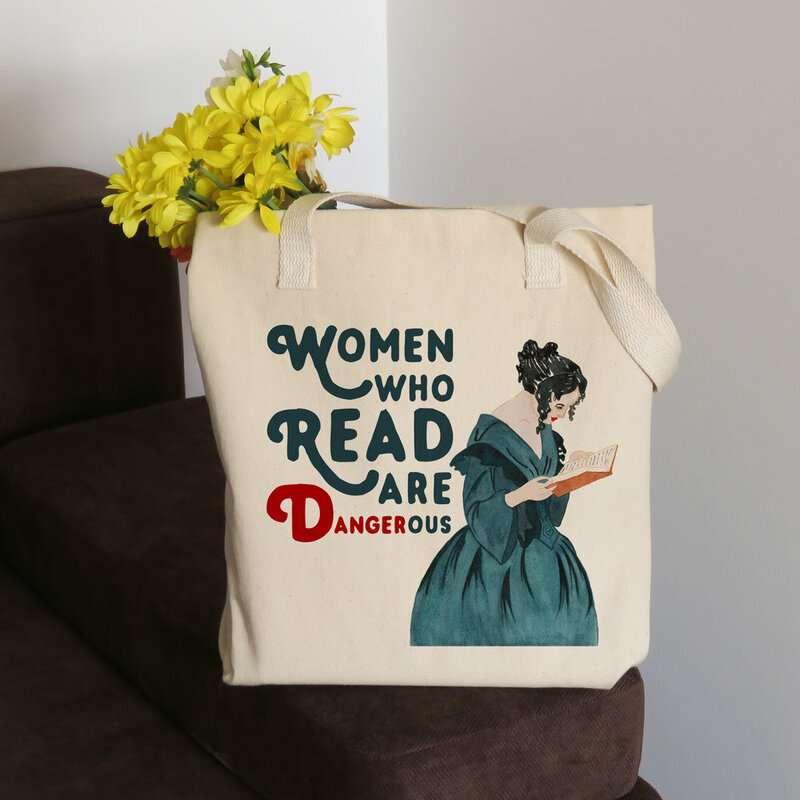 “Women Who Read Are Dangerous” 100% Cotton Tote Bag by AnaReads (that’s me). Women Writers Literary Postcard Set by Obvious State (obviously). Btw, if you don’t already know who these amazing artists are, I have a question: how come? Jane Eyre Inspired Necklace by Nabu Online. Prose Before Bros Sticker by ImBookishAndBakeWell. Framed Little Women Quote Print by LoveLilyCalligraphy. Be the Heroine of Your Life Coffee Mug by CarrotTopPaperShop. “Women Who Read Are Dangerous” Throw Pillow by AnaReads. Virginia Woolf “Thinking Is My Fighting” Enamel Pin by LiteraryEmporium. Girl Reading Print by LevysFriends. Jane Austen,Virginia Woolf, Mary Shelley, Charlotte Bronte and Emily Dickinson Literary Postcards by MrsPeggottyArts. Handmaid’s Tale Enamel Pin by FableAndBlack. “And the world was hers for the reading” Feminist Bookmark by Wonderflies.